I had a left total knee replacement and developed an infection. The first antibiotic (Kelflex) did not help so the Surgeon placed me on 750 mg. Levaquin x 7 days. I stopped after the second dose (now trying a third antibiotic). I developed terrible chest pain and at first thought I might be having a heart attack. It has now been 4 days since I stopped Levaquin and the problem is a little lessened but still bad at times. I can't believe this drug is still on the market! The chest pain is worse when laying down and I have found Tramadol seems to help a little but nothing else. I'm sorry to hear that, that's no good. I trust that that third antibiotic is NOT a fluoroquinolone like Levaquin or Cipro. So. You took two doses of Levaquin and basically, immediately had chest pain. Do you know why? Levaquin causes chest pain because Levaquin massively depletes Magnesium from the body. It's different for everybody, but chest pains, just like muscle pains, are due to a sudden lack of necessary Magnesium. This is relevant: Magnesium for Tendonitis. the blood stream, but don't bother telling a doctor that). Good luck with getting a doctor to do a mag IV, but it's worth a shot. To everybody seeking a Levaquin Tendonitis Treatment, I firmly suggest a complete plan of attack. A couple tips, like 'Take a lot of magnesium', just isn't going to cut it for most people. Levaquin cytotoxicity is a BIG DEAl with serious effects on the body. Having said that, you should take a lot of magnesium. If you're lucky, your body can recover on it's own. If you're not lucky, like most people, the body is SERIOUSLY affected, and you need to put some serious attention on helping it fix itself as much as possible. 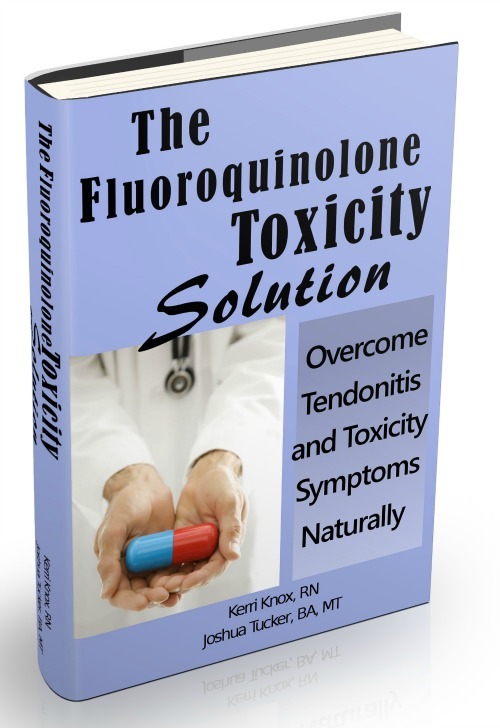 Thus I suggest The Levaquin Tendonitis Solution ebook. It'll tell you what's going on in there, and what you can do about it.